The question witch remains is, why is the device always in Sabotage alarm? The swich on the back is pushed in and the cover is closed. Are you 100% sure the backpin is pushed fully? When my front cover is open, and after a reset of the device itself my device doesn't report tamper when front cover is off for a long time (only when it's removed). Maybe the tamper detection of the device is broken? @RobinVanKekem : THANXS for including the PSR04 Smart Color Button!!! The ON/OFF switch works with the Everspring App, but this app crashes when using the PSR04, but maybe this is due to not correct buiding of the app with the AD1422 dimmers which @aloft and i tested. even though i'm not @RobinVanKekem you're welcome. Yes, the button is entirely @caseda work! hmmm...ok, workaround looks do-able, will try that later on. I'm not going to create it either. I don't have the device and the time to do it. in 1.1.0 (homey FW) you can use the dimming capability better for all dimmable devices. will find out in the coming days, keep you posted. Available in version 0.0.11, available at github and soon in the apps store. thanks, no support for the PAN-06 and PAN-04 double switch? at least I cant find it in the drivers folder in github. And since I don't have that device I can't add it. I'm willing to merge any pull request for this device. I got both devices. what can I do to help? pretty new here, got basic knowledge about programming. not sure if I can make a driver. and not sure how the pull request works. But I'm willing to help. Any possibility it can be added? Will you support the PSP05D? Looks like a great outdoor motion sensor. Is there any plan to include PAT02-B multisensor (Temp/Humidity) ? What information, and how to get it, is needed to include this in the app? Since I don't have one of these sensors myself, I need to rely on you guys to test. In the meantime, the PAT02-B sensor has been tested by @d.jansen. @MbenzNo and @Stronk if you could test this update as well, I would appreciate it. Does someone have the PAT02-1A (or PAT02-1C) and is able to test this update? I now have uninstalled Philio v. 0.0.18 and installed v. 0.0.20. I once again have tried to install the PAT02-1B sensor. It behaves exactly as in 0.0.18. 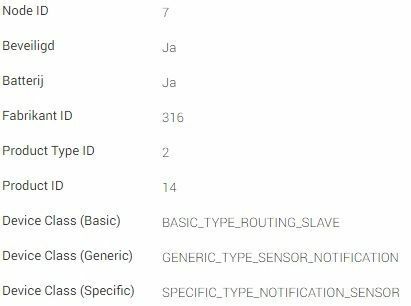 It is identified as a slave, exchanges security keys , command classes and so on, but in the end it stops at retrieve wake up interval, and ends with the message : No Z-Wave device has been found. There does not appear an unknown device icon in Homey. BTW: Is it necessary to uninstall any previous version of app before doing a CLI install of new version? @MbenzNo No you don't need to de-install the previous version of the app before doing a CLI install of the new version. I think the Philio sensor was still included as basic / unknown device. Can you try, with 1.0.20 installed, to remove the device from Settings > Z-wave > Remove a Device > triple click the tamper button? You should get a confirmation that the node has been removed. After exclusion, you can retry to include the sensor. If it fails, can you send me (at slack or add as text file to this thread) the Z-wave logging of the inclusion as shown in Settings > Z-wave > stuff for geeks?